For many people this type of software is absolutely priceless! Here we will explain why cloud storage software is so popular, and also give some top recommendations! Essentially, finding the best cloud storage software can be a complete game changer. It takes away A LOT of stress when it comes to storing and accessing your data. But what actually is cloud storage software? Ok, so ‘cloud storage’ is where data can be stored on remote servers and accessed from the internet, or ‘the cloud’ if you will. Your cloud storage service provider will then maintain and manage your files, thanks to servers built on virtualisation methods. The best examples of this type of software will keep your data secure and enable the mass sharing of files. We’re going to talk you through four of our favourites – DropBox, Degoo, SugarSync and Yandex Disc – in this post. But before we do that, it’s important to fully understand how cloud storage can provide you with great results. How does cloud storage software work? To be fair, a lot of us just sign up to these types of software and don’t question the science behind them. But, how does cloud storage software actually work? You probably know the basics. It allows your device to send or retrieve files online, from a remote data server. This same data is usually found on more than one server, so that if one server is down you can still retrieve your files. According to Techopedia, cloud storage works through data center virtualisation. Virtual storage architecture, which is scalable and easy to navigate, is then created. More often than not a web-based API, that is remotely implemented through its interaction with the client application’s in house storage infrastructure, is how cloud storage data operates. Cloud Storage Software can be a handy tool to acquire. It’s also known as utility storage when delivered through a public service provider. Meanwhile private cloud storage can often provide enhanced flexibility and scalability, with restricted access. How can cloud storage software work for you? With anything there is, of course, positives and negatives. Cloud Storage Software, perhaps, has a equal number on both sides of the argument. Firstly, let’s look on the bright side! With cloud storage software you will notice the value of offsite management. With someone else physically maintaining your documents your team can turn their attention to other priorities. Connectivity and backup speed are also major advantages, and in many cases scalability and rapid deployment are also like gold dust. Overall you should also enjoy a lower upfront cost, though lifetime costs could rack up. Security is something to be wary of. Download and data transfer speeds can be hampered from time to time too, especially if there is a lot of call for the servers. If you are considering using cloud storage software, you’ve come to the right place! 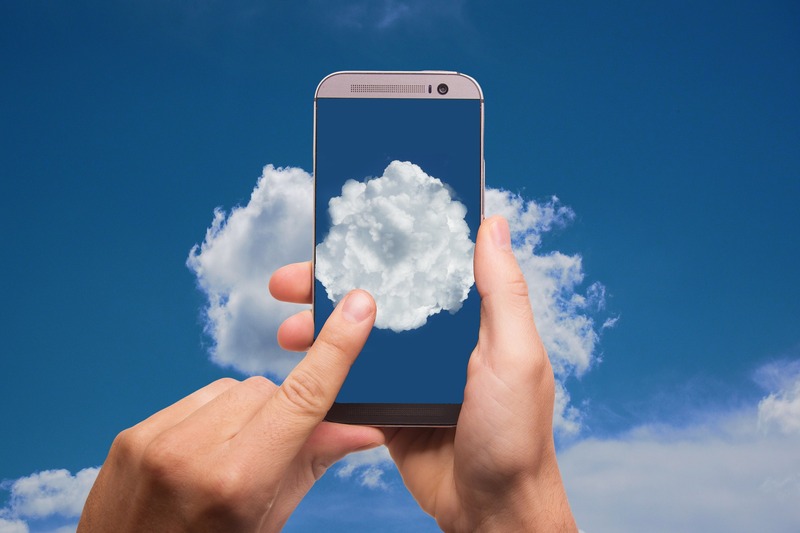 There are of course some very big names in the world of cloud storage, like Dropbox, or Google Backup and Sync. Yet there is also a growing number of lesser known, but promising, applications – like FluffyApp, Mozy Home and NetDrive to name a few. We’ve brought them all together nicely at FileHippo.com, be sure to check out our cloud storage software catalogue! Speaking of top cloud storage, we’re now going to talk you through four of our favourites! Let’s get the obvious one out there! When a lot of people hear ‘cloud storage’ they automatically think of DropBox. This incredibly useful cloud-based file storage and sharing program lets you access your files from practically any device with an internet connection. With Dropbox, you can store all your files and access them from anywhere. Your changes will automatically sync across all your devices, so you’ll always have access to the latest versions and can pick up exactly where you left off. Whether you’re working alone or as part of a team, you’ll be able to store, share and collaborate on your files as and when you want to. Dropbox has a range of individual and business plans to choose from if you’re looking for more than the standard free document storage solution. Degoo media feed on Android and iOS. If you’re looking for security, you’ve come to the right place. Degoo uses end-to-end, military-grade encryption and gives you access to your files anytime, anywhere. With Degoo, you’ll never need to think about file back ups again, just choose your important files and Degoo takes care of the rest. If you power off your device, Degoo will resume your backup once it’s back on, and it automatically detects any changes you make to your files to make sure your backup is always up to date. You can also save mobile data and battery by controlling when Degoo uploads your files and choosing to only use Wi-Fi. You’ll never lose a file with Degoo, as it stores multiple copies of each file to ensure it’s always there when you need it. It uses Google and Amazon’s ultra-secure data centers to store your files, and even encrypts and password-protects them, so you’ll know your files are always safe and secure. Degoo also includes a Degoo feed for your Android and iOS devices. Remember your precious memories and see when you uploaded photos of loved ones, family, friends, and the times you want to cherish. Overall, Degoo is a reliable cross-platform, cloud-based storage drive. It stores multiple back-ups of your files and automatically updates them, so you can access them anytime, anywhere. It’s easy to use and comes with various customization options to make it work for you. Online collaboration via folder sharing. The app provides all of the options and features you are going to need to backup all your files and restore them. You can upload numerous file types including music, video and .exe files for storage and sharing. Because it stores your files in the cloud, you can access them from anywhere, and SugarSync offers dedicated apps for Windows, Mac, Android and iOS. With SugarSync’s protected folders, you’ll be able to protect your files from ransomware and data loss, and back up versions of your files. The only downside is the initial backup may take a long time, depending on the combined size of your files. After this, SugarSync automatically backs up any files that you work on, so you can access them from anywhere, at any time. It also makes it incredibly easy to restore previous versions of your files so you’ll never need to worry about losing important data. Yandex.Disk also lets you keep your important files secure and able to effortlessly share them with your friends and colleagues. Users can configure Yandex.Disk to upload your photos automatically from your mobile device whenever you have an Internet connection and also from your digital camera every time you connect it to your computer. You can also edit your Yandex.Disk photos and then collate them into albums, with names and cover images. You can then choose to share them in your social networks. Feel free to open, edit, and even create documents on Yandex.Disk directly in your browser. The service supports text documents, spreadsheets, photos and presentations. Overall, Yandex Disk provides yet another straightforward solution but is also a no charge service. So, ideal if you’re looking for an affordable option! So, there you have it. Hopefully this article has been helpful, and that you now have a decent understanding about cloud storage software. Of course, as we said before, it has its naysayers and superfans alike – for a variety of cons and pros respectively. But it undeniably fulfils an important task, especially these days where storage is king. The four examples we’ve given are just some of our favourites that came to mind, there’s a whole world of other solutions out there!